Home Pet Pourri Book Is Puppy Prozac Safe For Pets? When Ellen Palestrant, author of Pretzel on Prozac, immigrated with her family from South Africa to the American Southwest, she anticipated the adjustment might not be easy for everyone. But she did not foresee how hard the move would be on her dog Pretzel. In unfamiliar surroundings never before experienced, all routines shattered, Pretzel became fearful, despondent, and depressed. 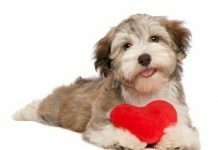 Previous articleDeaf Dogs Hear With Their Hearts – Puppy Love! Next articleCat-Choo and Dog Bless – Being Allergic To Pets Becomes Easier! What Do You Do If Your Significant Other is Allergic to Your Dog? Ask Wendy!